 Home › Gossip › Politics News › You Need To See The Journalist Who Exposed Kemi Adeosun's Fake NYSC Cert. 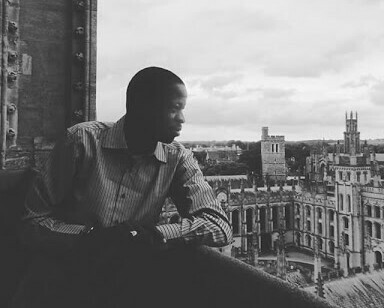 You Need To See The Journalist Who Exposed Kemi Adeosun's Fake NYSC Cert. 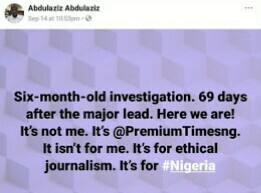 Abdulaziz Abdulaziz, the Premium Times journalist whose investigation led to Kemi Adeosun resignation as the Minister of Finance yesterday aftershe surrendered been defeated. Abdulaziz revealed that it took him six months to investigate 'Adeosun's Fake NYSC Certificate'. According to him, "Six-month-old investigation. 69 days after the major lead. Here we are! It’s not me. It’s @PremiumTimesng. It isn’t for me. It’s for ethical journalism. It’s for #Nigeria"
"Remember: There are guys at the National Assembly who exploited the #AdeosunGate to fleece the nation. There should be serious probe of that intricate scandal."